With the help of our expert team members, we have been able to offer a wide range of Mint Yellow Sandstone. We always make use of most efficient and reliable materials for our products and keep consistency in their quality. 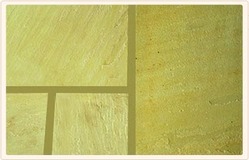 This Mint Yellow Sandstone is very attractive and durable. 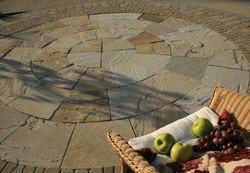 We offer Gwalior Mint Sandstone to our clients. Gwalior MINT, more popularly known as Gwalior Greenish White. Gwalior Mint sandstone or Indian Mint Sandstone is suitable for use as flooring, wall fixing and lining due to its physical and chemical properties. It has a very smooth natural split surface. It is also suitable for carving and making stone handicrafts. With the aim to satisfactorily cater to the interior and exterior construction requirements, we are offering premium quality range of fossil mint in different patterns, sizes and color shades. We supply quality range of Mint Sandstone that is available in various sizes according to the requirement of our clients. These mint sandstone exhibit high characteristics such as high compressive strength, high tensile strength, and uniformity, hence are extremely suitable for all kinds of interiors and exteriors. is the leading sandstone producer in India and Sandstone Exporter in India, one of them is Gwalior Mint Sandstone from India, producing Exporting Gwalior Mint sandstone slabs Gwalior Mint Sandstone Tiles cut-to-size.